Representing Baguio City’s Team Lakay, Kelly is coming out of a historical victory. In his most recent bout, which was on January 26, 2018 at “ONE: Global Superheroes,” he knocked out Meas Meul, 28, of Cambodia at 0:21 of Round 1. 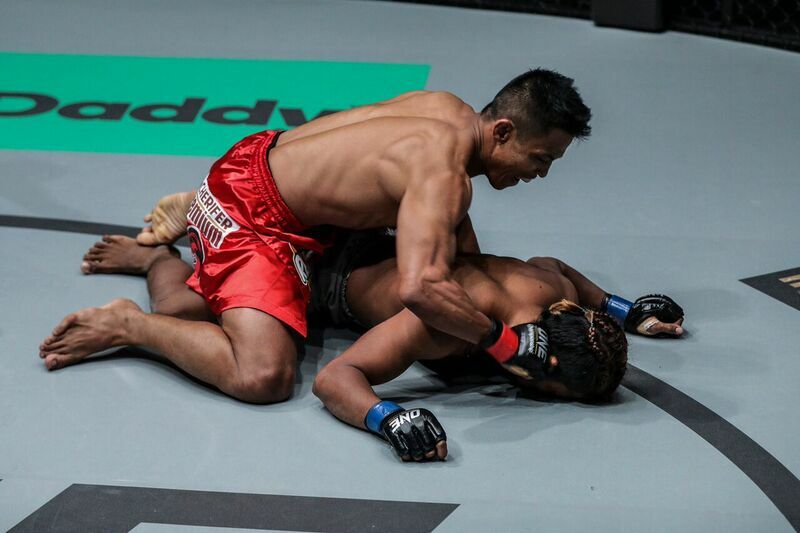 Until now, it is still the fastest knockout and finish in ONE Championship’s featherweight division. But for Kelly, this record is not something he should brag about. Kelly stressed that he has nothing but respect to Jadambaa, who was last seen in action when he lost to his fellow former ONE Featherweight World Champion Marat “Cobra” Gafurov, 33, of Russia in their title rematch on November 11, 2016 at “ONE: Defending Honor.” On August 18, 2017 at “ONE: Quest for Greatness,” the Russian fighter also lost the belt to Martin “The Situ-Asian” Nguyen, 29, of Australia and Vietnam. Headlining “ONE: Pinnacle of Power” is Kelly’s fellow Team Lakay fighter, ONE Interim Flyweight World Champion Geje “Gravity” Eustaquio, 29, and reigning ONE Flyweight World Champion Adriano “Mikinho” Moraes, 29, of Brazil. In the co-main event, reigning ONE Women’s Strawweight World Champion “The Panda” Xiong Jing Nan, 30, of China will defend her title from Laura “La Gladiadora” Balin, 38, of Argentina. Will Edward Kelly finish Narantungalag Jadambaa at ‘ONE: Pinnacle of Power’ in Macau?